Event Has Closed, Thank you for your interest. Here we go again, Another event from 2047Games/2047Servers this time. With the new launch of our 3rd Super Server we are now going to dedicate that server for our new event. The aim of this event is to provide Game Servers to community’s across the Steam Platform (Valve Game Servers) We are looking to provide the full range of Valves Game Servers from Counter Strike 1.6, Condition Zero, Source, Team Fortress 2, Day of Defeat Source, Garry's Mod, Half Life 2, left4dead series, Killing Floor & Many more. What requirements we have before we can sponsor you. As said in the video, We are looking for groups, clans or community's that are in need of servers for their members to play on. We are not looking to give free servers to e.g. a group of 4 friends wanting a 32 slot server. Around 100 Members or more. Active playing members on the game that you want a server for. Active group - Events, Chats, Sharing content with each other. Name: Name of person to contact back. Website: This can be e.g. Steam Group Page, Website, Forums. Blog etc...etc... If you have more than one put others in the message. In the application form you will need to include sources of your group e.g. a Steam Group page so we can check to see how many members you have, how many play the game that you want a server for & how active your community is. We are looking for starting at a standard 3 months, this will depend on what you want & will be decided if you are accepted, if you have been accepted we will sort this out when we make an agreement. What will happen after the sponsorship ends? A week or so before your sponsorship time is up we will contact you with what is happening next, if we feel that us sponsoring you is both beneficial for us & yourself then we may decide to continue sponsoring you. Otherwise we will offer the change for you to pay for your server using our prices. As said in the video you will have FTP access, please setup your own RCON/Admin so you can manage the servers via console. How does this application process work? We are using this application method to collect information about who is interested, we will then use this information to read up on you, see your websites/groups so we can get an understanding of what your group is like. If we find some applicants that fit what we are looking for then we will contact them to continue the processes of finding more information about what they want on the server & will talk about the contract we will have with them. So make the message in this form as best as you can. We do have a page called Our Servers, it will be one of the Super Servers, Also the key specs are explained in the video. This event is looking to last around 1-2months maybe more, depending on the success of the event we may run out of room on the server, if this does happen we will have to slowdown or stop the event then. We have already had 5 applications within 10hours of opening the event. These may get updated if any key questions arise when people contact us or send in their forms. 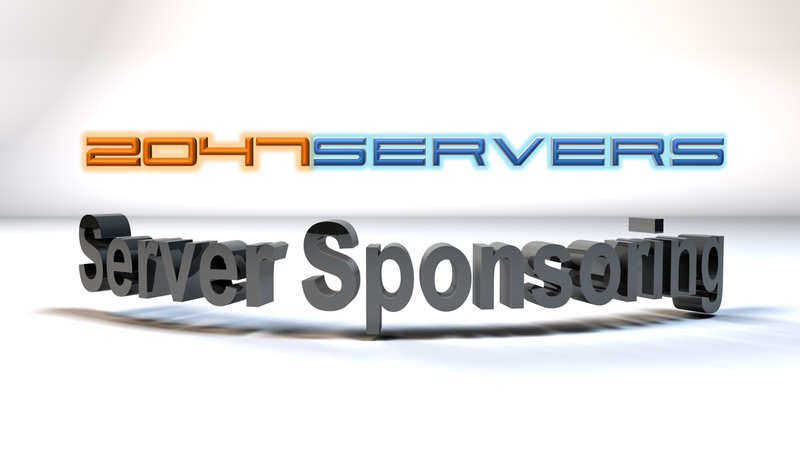 Or you can email - sales@2047servers.co.uk with your details. ©2013 2047Servers. Part of the 2047Group • Media Design by 2047FX.